Our company holds immense experience in this domain and is involved in manufacturing, trading and supplying wide assortment of UV Shoe Rack. We provide high strength, easy to use and highly functional UV shoe rack that is highly efficient and reliable for keeping the shoes organize, moisture free and long lasting. This is very sturdy and smooth with great design and stability for long lasting use. This is flawlessly fabricated and designed by our highly skilled craftsmen. Avail from us our range of UV shoe racks at affordable prices. 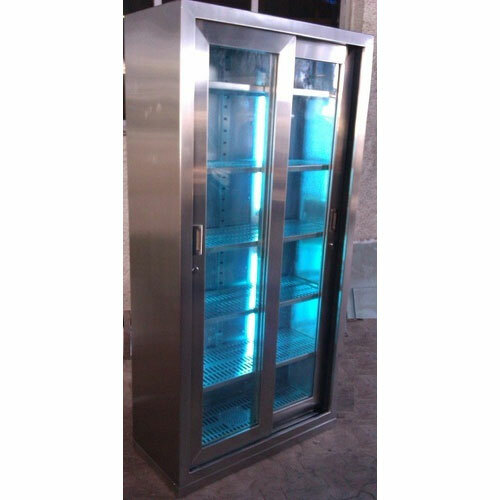 Catering to the requirements of our clients, we are into offering UV Shoe Racks. These racks and table are used for storage of various items in diverse industries.